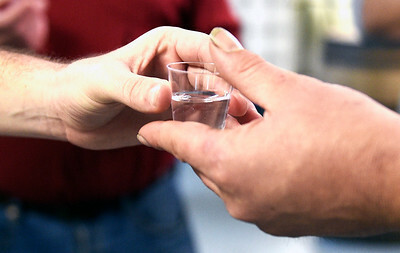 Kayla Wolf - for Shaw Media Wondertucky Distillery tour guide Jim Cerney, hands a tour participant a sample of "heart" distillate on Saturday, April 29, 2017 in Woodstock. Heart is one the portion of distillation that is added to the final spirit. Kayla Wolf - for Shaw Media Wondertucky Distillery tour participant Michelle Cowart (cq) looks into a vat of mash during a tour on Saturday, April 29, 2017. The whiskey distilling process involves fermenting grains and distilling the fermented material. The distillery recently added a tasting room and is hosting tours and paint and sip events. 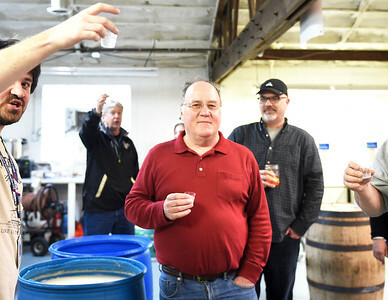 Kayla Wolf - for Shaw Media Wondertucky tour guide Jim Cerney, left, and participant Bob Sehlereth, center, along with other tour partisipants raise small samples of whiskey from the still for a toast on Saturday, April 29, 2017. Kayla Wolf - For Shaw Media Wondertucky owner David Cunningham talks with patrons about the distilling process Saturday, April 29, 2017. 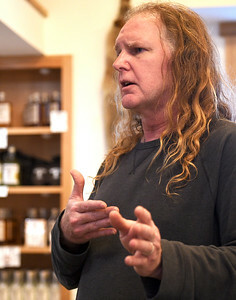 Cunningham completed a tasting room at the distillery in December of 2016. 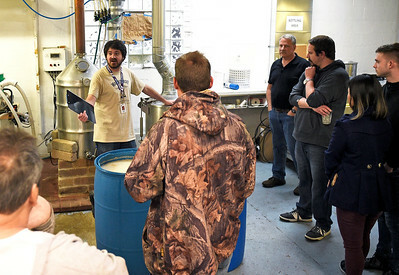 Kayla Wolf - for Shaw Media Wondertucky tour guide Jim Cerney explains the process of distilling in Woodstock on Saturday, April 29, 2017. Wondertucky offers tours and paint and sip events at the distillery. 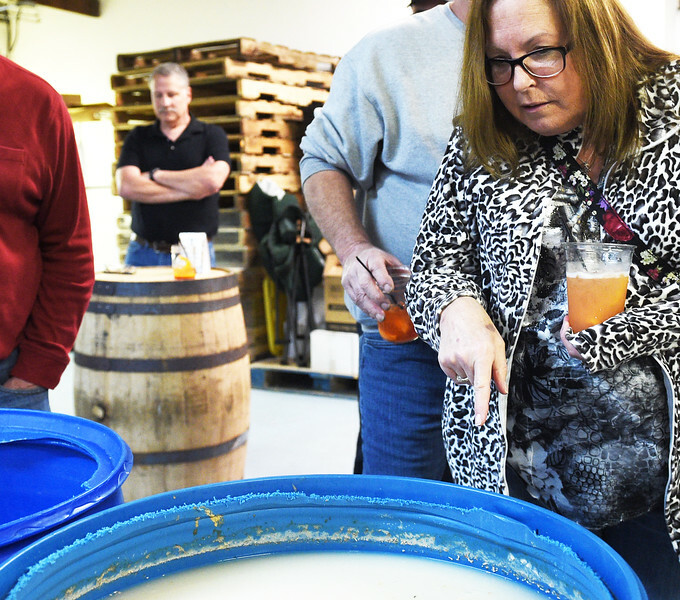 Wondertucky Distillery tour participant Michelle Cowart (cq) looks into a vat of mash during a tour on Saturday, April 29, 2017. The whiskey distilling process involves fermenting grains and distilling the fermented material. The distillery recently added a tasting room and is hosting tours and paint and sip events.